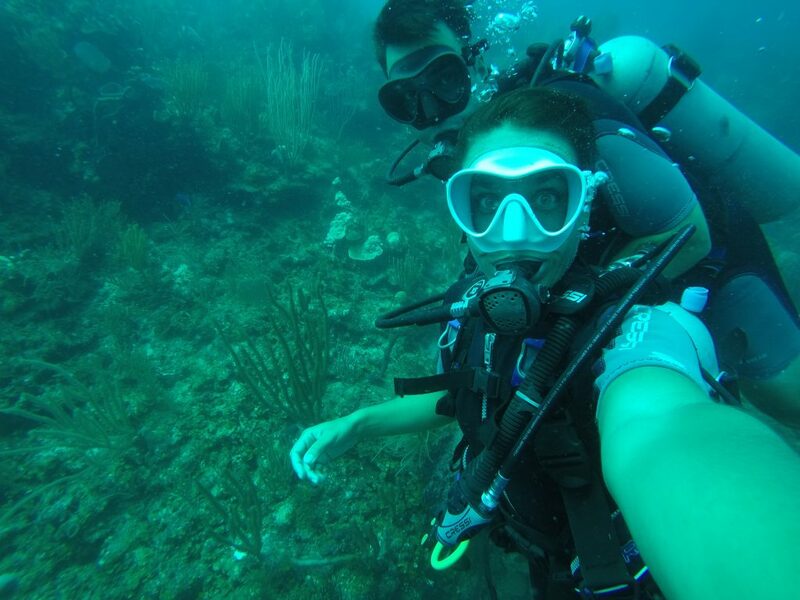 Diving Trip to Belize: an underwater paradise! Belize is a mecca for divers and with good reason: it’s a veritable underwater paradise! Not far from the coast is one of the largest coral reefs in the world! Many of you may have heard about the Great Blue Hole, a cenote (underwater cave). When viewed from above, the cenote looks like an almost perfectly round hole. What we don’t see is that the hole is 124 kilometers deep. 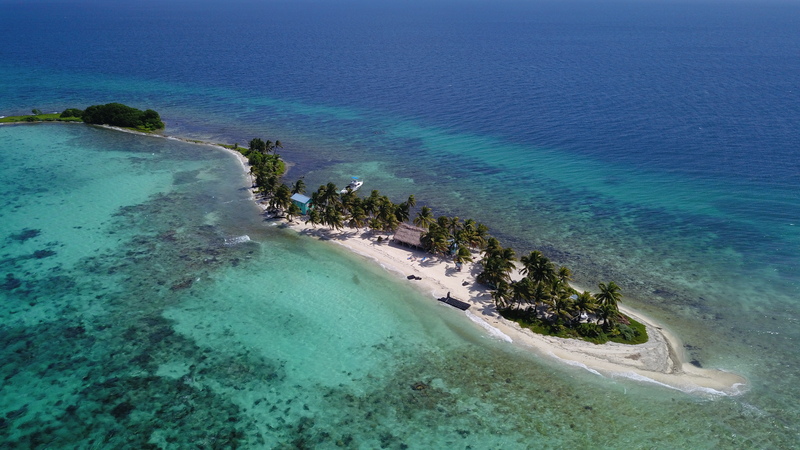 When North Collective offered to organize a trip of the lifetime, I quickly proposed Belize because my partner and I are both avid divers but we had yet to dive together sowe were really looking forward to it! We filmed portions of our ten day trip so that we could share the experience with you. In total, we did thirteen dives near various islands. Thus, we were either on or beneath the water’s surface almost every day. Thank you, North Collective, for making this amazing trip possible! 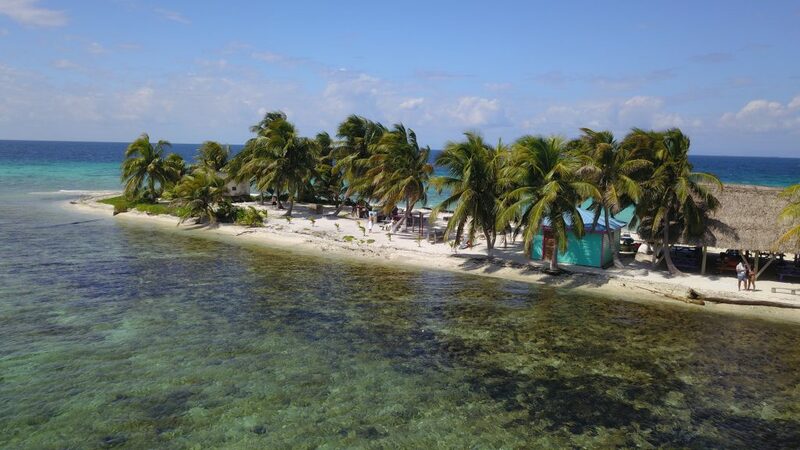 Why choose Belize for diving? Belize is a very small country, so if you decide to spend two weeks there, you’ll have enough time to discover both the land and the underwater life. Beginner and advanced divers will enjoy exploring the waters of Belize which vary in depth from site to site (of which there are several). 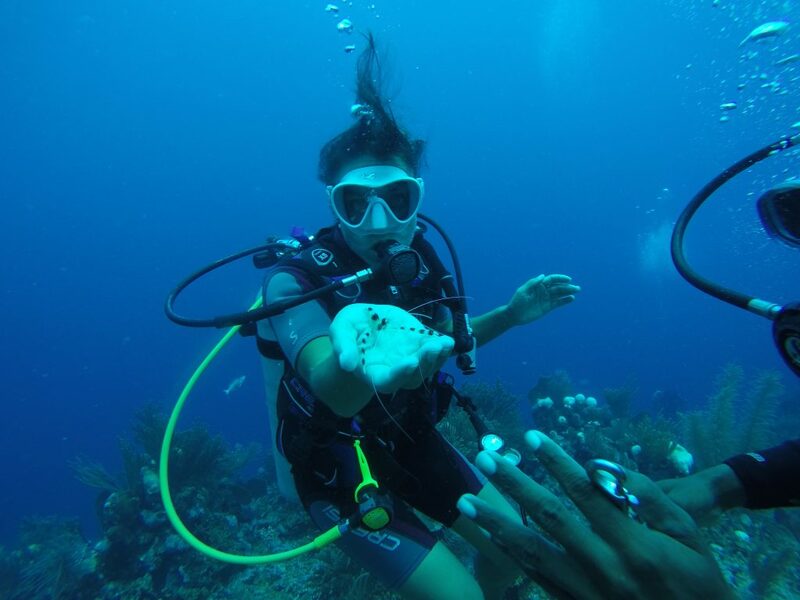 You can have fun on the surface of shallow waters while admiring the coral, dive along the barrier reef, or go to the depths to see larger animals. 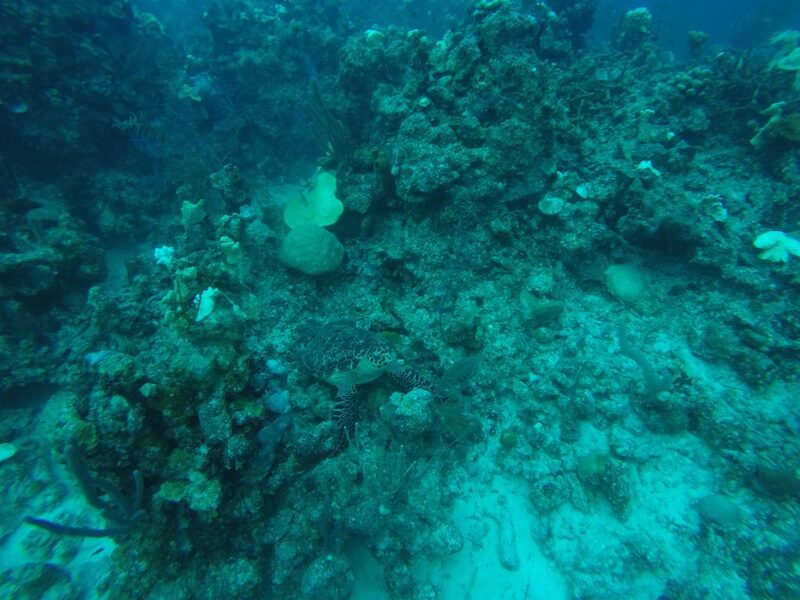 What struck me right away in Belize is the excellent visibility underwater (except the day after a storm). You can see at a great distance! If you get cold easily, like me, you’ll definitely appreciate the warm waters of Belize. I would however recommend wearing a wetsuit if you plan to spend an hour underwater because even at 26 degrees, you will eventually feel cold. What will you see underwater? If you choose to dive in Belize, you’ll likely see sharks, turtles, several types of fish, stingrays and so on. It’s like that pretty much everywhere in the Caribbean; however, you have a much better chance of spotting large aquatic animals in the waters of Belize! Don’t be afraid when you see them because they are curious by nature and generally are not dangerous; even sharks. The stuff we’ve seen on TV has made us fear sharks but I’ve never felt threatened despite seeing some during (almost) every one of our thirteen dives. How can you decide upon which diving sites to explore? Trust the people who work for the diving schools since there are several sites worth visiting in addition to the exceptional Great Blue Hole! I had the chance to dive with Belize Underwater as much in Placencia as in Hopkins Bay. The teams at both locations were very professional; suggesting various sites to diversify my experience. We visited South Water Caye, Laughing Bird, Glover’s Atoll and Ranguana Caye during our stay. 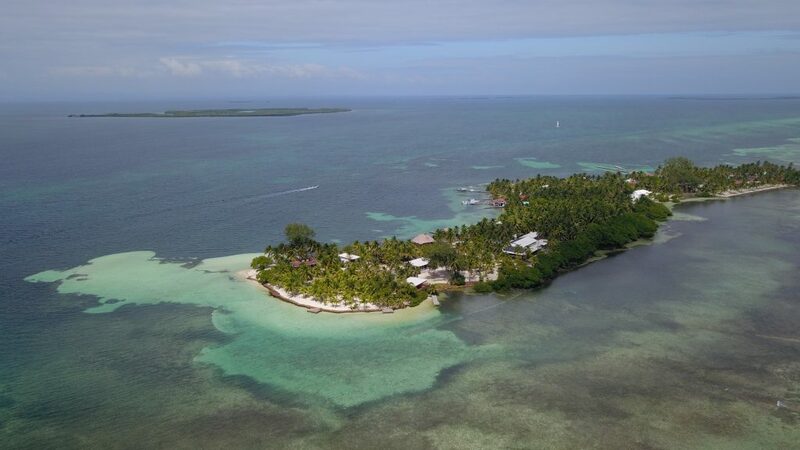 If you’d like to know which hotels I recommend for your trip to Belize, you can read all about them in my earlier article, right HERE. 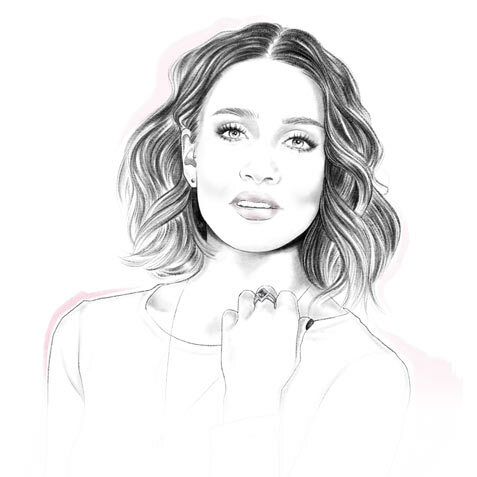 Washable Wipes that Remove Makeup Without the use of Products: Oh yeah, they exist!